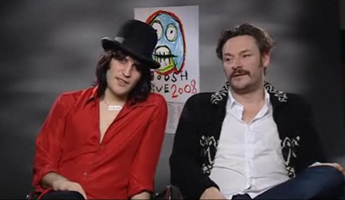 Last night Noel Fielding was spotted on the 6 O'Clock News wearing our Robots in Disguise necklace! This was a special piece made just for their fan club. Most of our other Robots in Disguise jewellery has now sold out, but there are a few teardrop rings left so save yourself from tears and order now if you want one!